Happy Thursday! Can you believe it's already November? Before we know it, we'll be featuring winter and holiday looks! Time needs to slow down so we can enjoy a bit more of fall. As always, thank you to everyone who linked up last week! 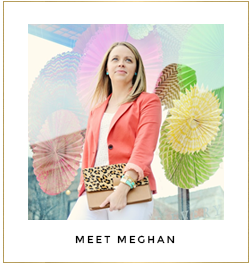 We are so excited to see what everyone has styled this week. So get linked up, meet some new blog buddies and check out these fabulous ladies while you're at it! Elizabeth of Book of Leisure created the perfect fall ensemble. Dresses with tights are one of our fall go-to's! We love the horse print of her dress and how she paired it that vest and a pair of booties. Rachelle of Pink Sole's pattern mixing is spot on with this outfit. We love the pop of color against the camel blazer and how the larger pattern of the scarf perfectly compliments the herringbone. 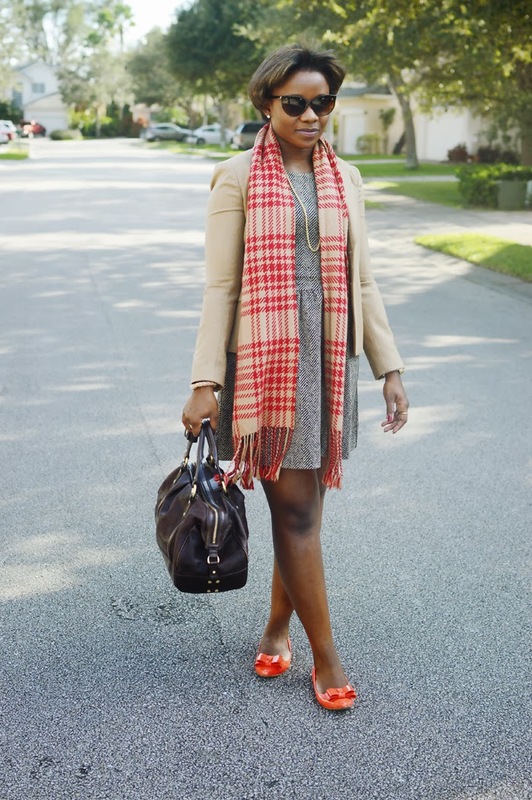 We love how Jalynn of Red Closet Diary puts a trendy twist on an otherwise classic outfit. Black and white with a pop of red is one of our favorite color combos and that vest is just fabulous!